With all of the cold, snow, and ice walking around town can be treacherous! If you are heading downtown for the UP 200 or to spectate at the Michigan Ice Fest or heading out on an adventure to the Eben Ice Caves be sure to have traction on your feet! Our staff favorite is the Chainsen Pro. 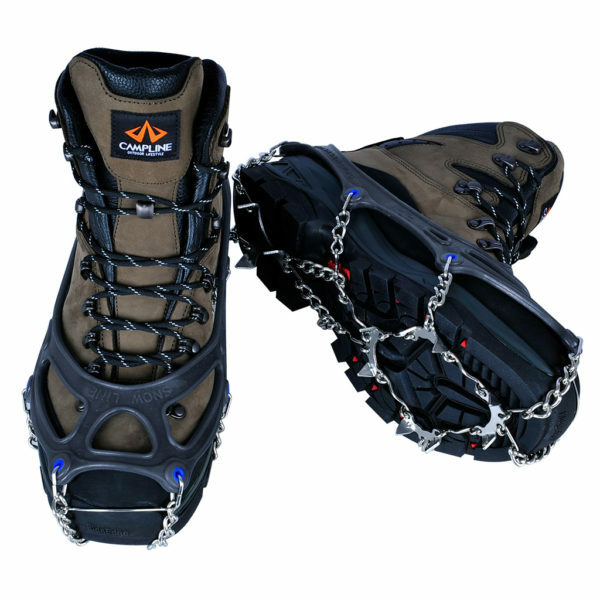 These simple to use foot traction has a tried and true record of performance with the thickest elastomer and burliest gauge on both the chains and the spikes for maximum durability and performance. We sell it in 5 sizes from S-XXL so we can fit your entire family.